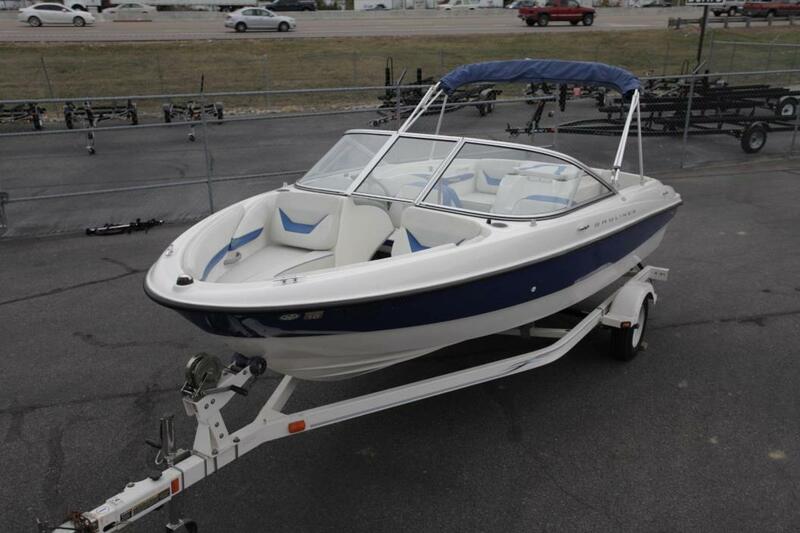 Per the Seller: This 1990 Bayliner Avanti 3785 Sunbridge Express cruiser is in great Condition. She has been very well-maintained. All features are working as they should. 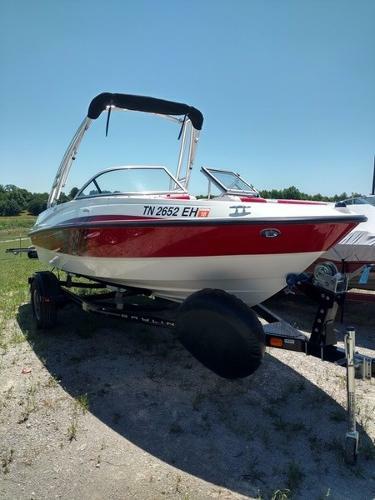 This boat has been regularly maintained and properly winterized every season.  Stock #171591 Big, Beautiful, Spacious, Luxurious, Elegant, Powerful, Roomy, Well Appointed, Great Condition... I could go on and on! 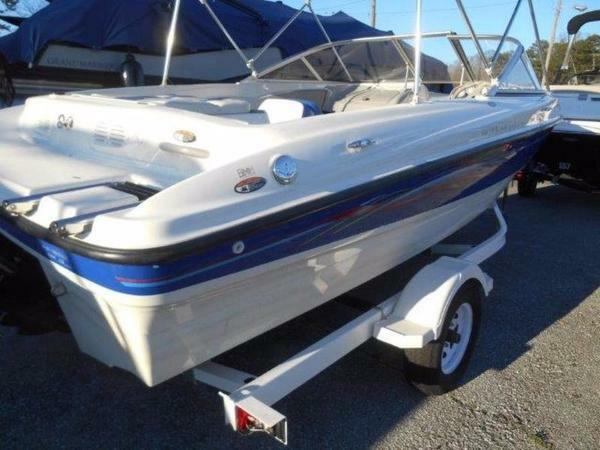 If you are in the market for an express cruiser, look no further than this 1990 Bayliner Avanti 3785 Sunbridge, just reduced to $24,500 (offers encouraged). 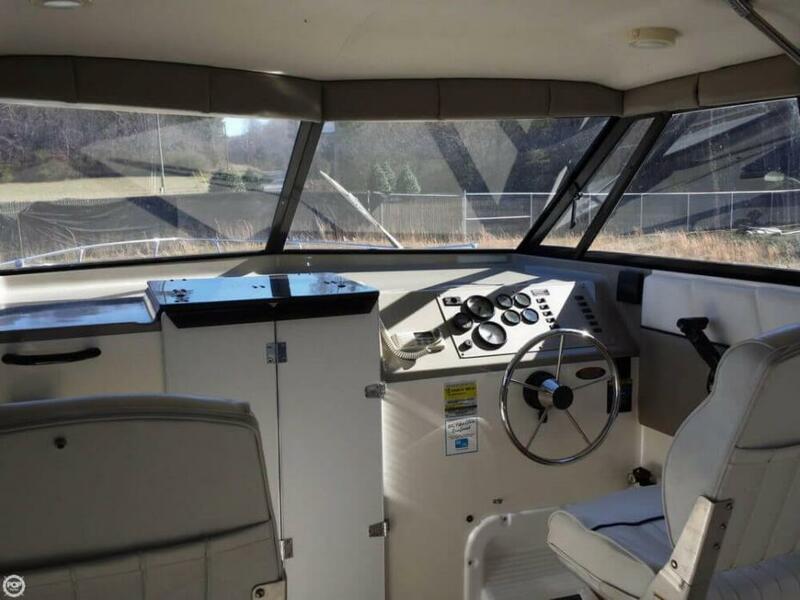 This vessel is located in Hendersonville, Tennessee and is in good condition. She is also equipped with twin Mercruiser engines. Reason for selling is not using traveling out of country most of the time. 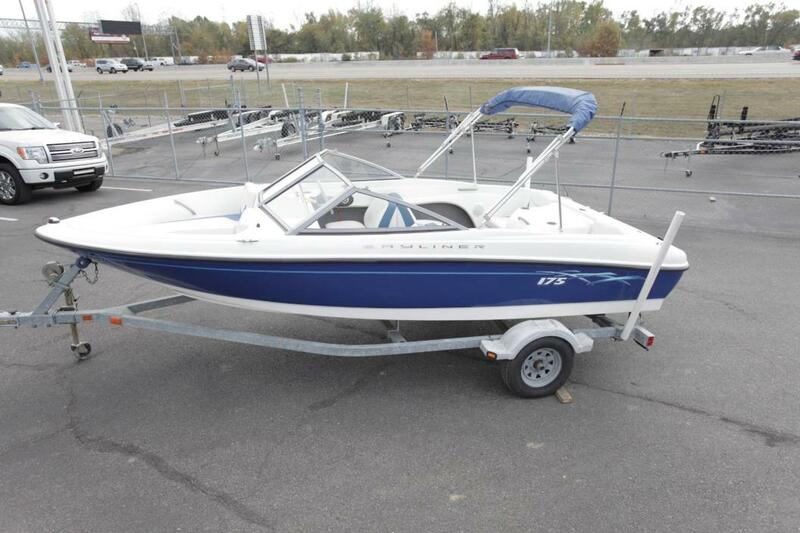 This 1983 Bayliner 3270 Explorer w/ Command Bridge is in good condition for a boat of its age and prior use. The current owner does not know the engine hours. Both engines and the generator have recently been serviced with fresh oil and filter. Cosmetically, some of the wood is a bit weather beaten, but can be refinished by her new owner. With a good cleaning, she will shine from top to bottom. Ready to navigate the fresh or salt water way of choice. 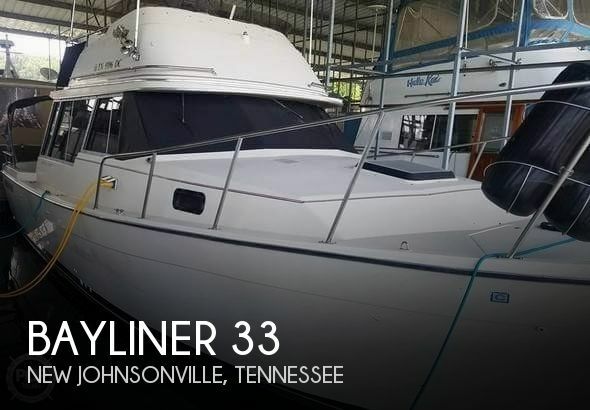 Stock #166184 1983 BAYLINER 3270 EXPLORER COMMAND BRIDGE GREAT LIVE ABOARD If you are in the market for a motoryacht, look no further than this 1983 Bayliner 3270 Explore w/Command Bridge, just reduced to $27,000 (offers encouraged). 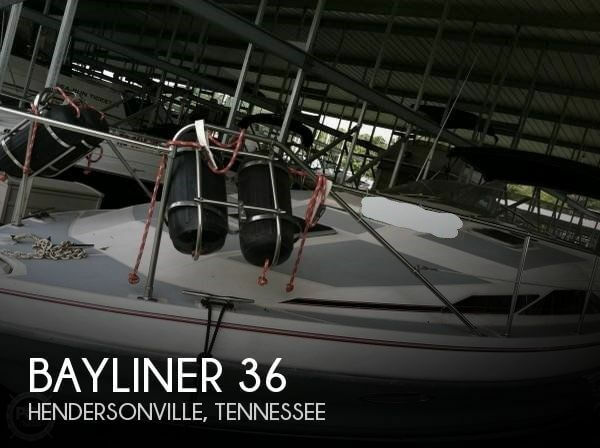 This vessel is located in New Johnsonville, Tennessee and is in good condition. She is also equipped with twin Crusader engines. Reason for selling is downsizing. The helm station was rebuilt with aviation grade hydraulic fluid Full galley, exceptional headroom, roomy cabin, private forward berth with solid privacy door, aft berth with folding privacy curtain Stock #110560 Excellent Condition! Helm Station Rebuilt With Aviation Grade Hydraulic Fluid! Exceptional Headroom! 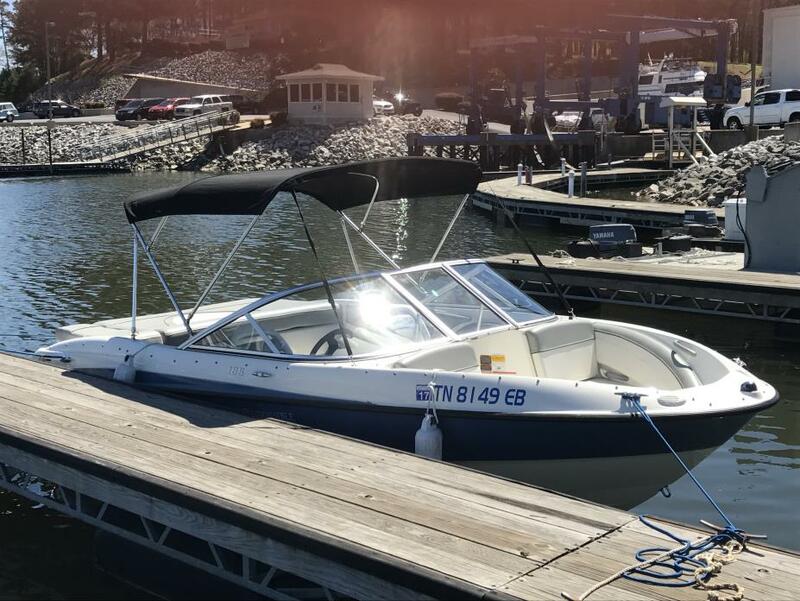 If you are in the market for an express cruiser, look no further than this 1987 Bayliner 3450 Avanti, just reduced to $25,000 (offers encouraged). This vessel is located in Louisville, Tennessee and is in good condition. She is also equipped with twin Mercruiser engines that have 960 hours. 1994 Bayliner Rendezvous 2609 This boat is the coolest on the lake! 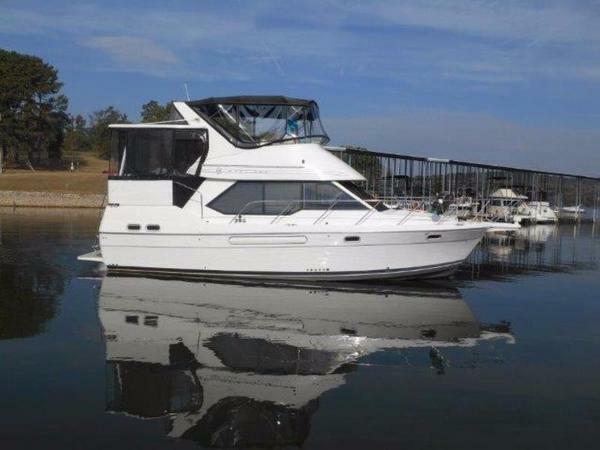 This 26 all fiberglass twin catamaran hull makes this the smoothest riding boat youll ever experience. Loads of built in storage. Wide-open deck layout. Forward seating includes a large convertible sun-lounge. Aft lounge / dinette area with removable table. Also has an enclosed compartment with a portable toilet! Collapsible bimini top over aft area. 150 HP Mercury XR4 BlackMax outboard motor. Powerhead just rebuilt. Shorelandr tandem trailer included. Boat length: 26. Beam: 8 4. Overall length of boat and trailer: 30. 4000 lbs. Boat is currently out of water on trailer in West Knoxville, TN. Call (865) 777-9222 for more information or to schedule an appointment, or email btb0702@gmail.com to receive additional photos. 2000 Bayliner 5788 Pilothouse 2000 Bayliner 5788 Pilothouse This is a one owner, Freshwater Only 5788 which was the forerunner to the Meridian 580 Pilothouse. It is powered by twin MAN 2866 LE405's with 610 HP each and has about 1055 hours. 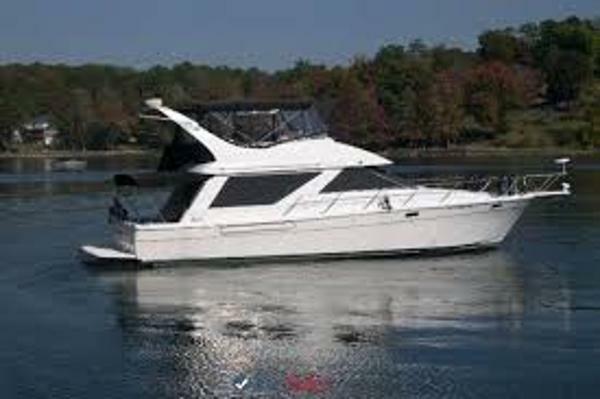 It is equipped with a 15LW Westerbeke Generator; Inverter; Radar; GPS & Autopilot; New Garmin 7215 Touch Screen in the Pilothouse; Dual Pilothouse Side Doors for easy deck access; Bow Thruster;Full Galley with Full Size Fridge and Stove w/Oven; Microwave Oven; Dishwasher; Trash Compactor; Large Salon with Wet Bar with Icemaker and Blender; Three Stateroom with 2 Full Heads. Master has a full Beam with King Size Bed and ensuite head with Tub & SHower; VIP Suite Has a queen bed and shares the head with the Third Stateroom with 2 bunk beds; Spacious Bridge has a Wet Bar with Fridge; Davit on Bridge; Batteries replaced in Fall 2015 and bottom painted in Fall 2015. Shown by Appointment Only, please. 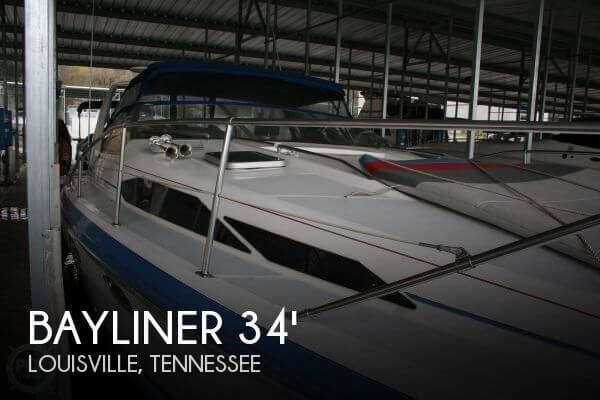 2006 Bayliner 185 The Bayliner 185 has the largest 18-foot runabout interior in its class with the ability to configure the boat the way customers want it with multiple product configarations: 2 power choices, standard interior and seating, sport seating, and/or full fiberglass liner. 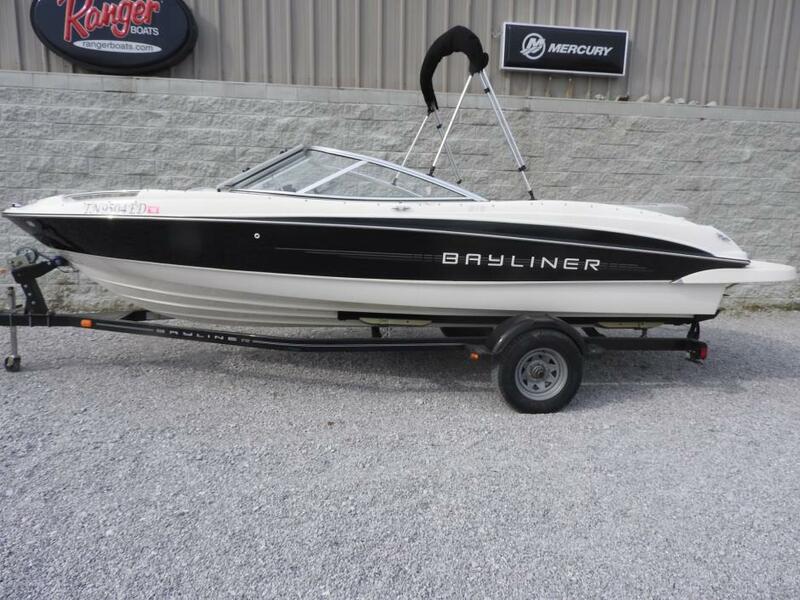 2006 Bayliner 175 The Bayliner 175 package comes with everything an owner needs - boat, motor and trailer - all at one amazingly affordable price. 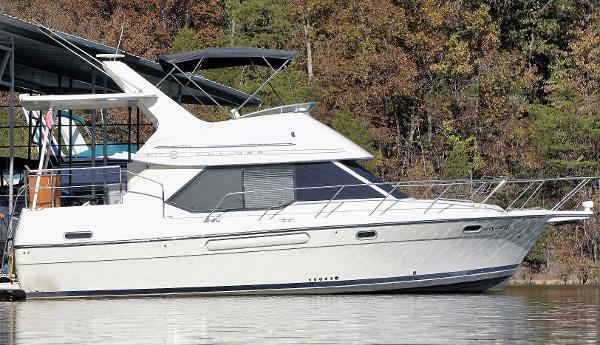 The 175 can accommodate everyone's idea of fun on the water, yet it's compact enough to park in the garage. 1996 Bayliner 3587 Motor Yacht 1996 Bayliner 3587 Motor Yacht This is a very nice Freshwater 3587 Aft Cabin with rare 5.8l Hino Diesels with 250 HP each and about 654 hours. 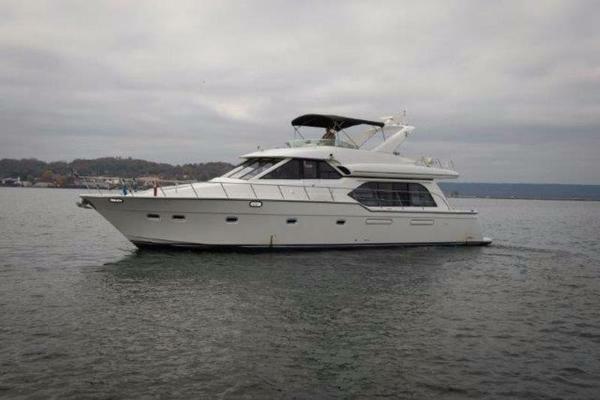 It is equipped with Bimini Top; Full Enclosures; Aft Deck Hardtop; 3 Staterooms and 2 full Heads; Dual Helm Stations; Walk Around Queen Master Berth; Seperate Vanity head and Shower; This is a great boat to do the "loop" in. Check it out.